Côtière began in 2006 with our first commercial release, focussing on primarily Pinot Noir. With each vintage we strive to work exact rows, blocks and clones with acreage contracts whenever possible. This enables us to make small adjustments in farming techniques if needed, which is critical for producing top quality wines. We own and operate the very best equipment to ensure the best possible product, while maintaining a minimal winemaking philosophy. This allows the vineyards to be showcased and not the winemaking. 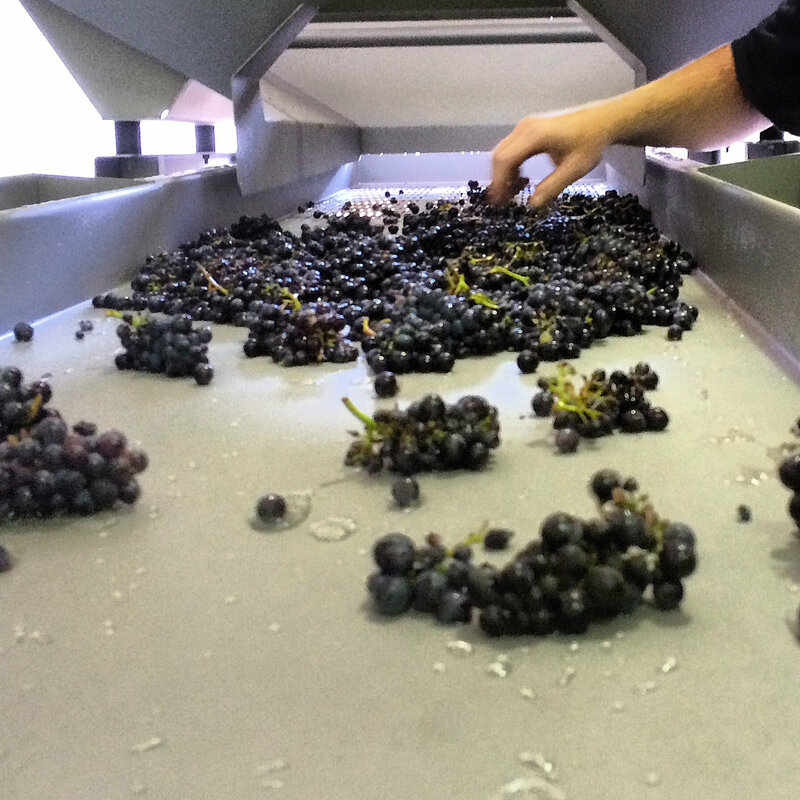 Transparency as a winemaker always makes the best wines, particularly with Pinot Noir. Currently, we work with much of the same vineyards but also have added a few new ones. We are very fortunate to be involved with some of the best vineyards on the central coast, which includes Talley Rincon Vineyard, Presqu’ile, Hilliard Bruce, La Encantada, Murmur Vineyard as well as La Rinconada and Sanford and Benedict for all our Burgundy varietals. Working with Santa Rita Hills Pinot Noir along side Santa Maria Valley is incredibly rewarding due to their unique expressions. Our primary goal is to capture that unique expression in every bottle made. The Bordeaux varietal program has expanded over the past decade. 2008 was our first introduction to Napa Valley fruit, and now not only have we continued with this program but expanded to Santa Ynez Valley for Cabernet Franc and Petit Verdot - which do incredibly well in the warmer regions of Santa Barbara County. The Cabernet Sauvignon will always be sourced from Lewelling Ranch Vineyard in Saint Helena, and the Merlot from Mckenzie Mueller Vineyard in Los Carneros. Both sites have well established vines planted in the late 1980s and mid 1990s. We are so incredibly honored to have this opportunity. My story as the winemaker and owner of Côtière began with my education and background in atmospheric sciences, geography, and geology. Born and raised in Santa Barbara County, I graduated from UC Santa Barbara in 1997. For nearly a decade starting in 1995, these years were pivotal for my future in this industry. Opportunities in both retail and wine production opened my eyes to what was possible. After studying and truly appreciating the wines from all over the globe I started tackling in depth my local wine community - working all aspects from crush to bottle. In 2006 opportunities arose, and the first official and commercial release for Côtière began.